18 August 1943: Keel laid by the Brown Shipbuilding Co., Houston, Tex. 38k Richard Salisbury Bull, Jr., was born in Wilkinsburg, Pa., on 06 January 1913. 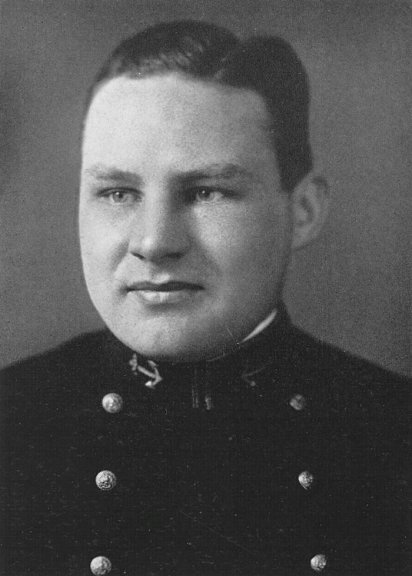 Graduating from the Naval Academy, he was commissioned an ensign in the U.S. Navy on 04 June 1936. Trained as a naval aviator in 1938-39 at Pensacola, Fla., he served in the fleet in 1941. He became a naval observer assigned to the American Embassy in London, England. Reporting for duty as a fighter pilot on board USS Lexington (CV 2) on 27 December 1941, he participated in aircraft carrier operations against the Japanese in February and March 1942. In the Battle of the Coral Sea 07 to 08 May, he earned the Distinguished Flying Cross, before failing to return from his last mission. Also awarded posthumously was the Purple Heart in 1943. 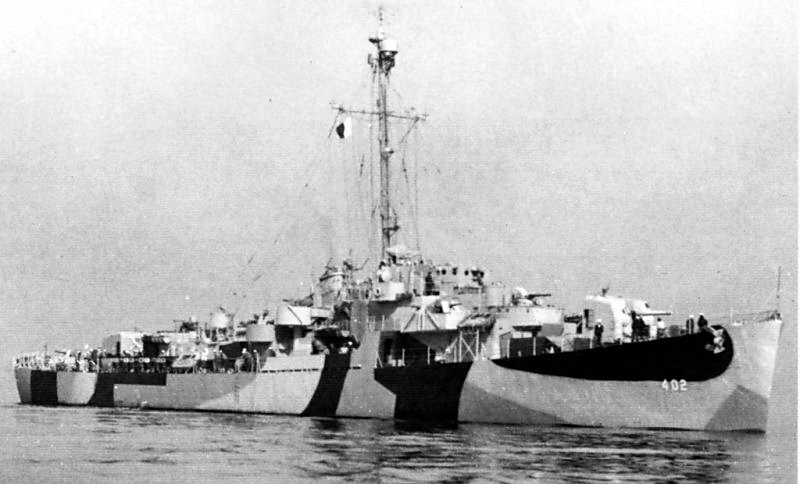 USS Richard S. Bull (DE 402) (1944-1946) was the first ship to be named in his honor. 212k 26 October 1944: Starboard bow view of USS Richard S. Bull (DE 402) as seen from USS Suwannee (CVE 27). 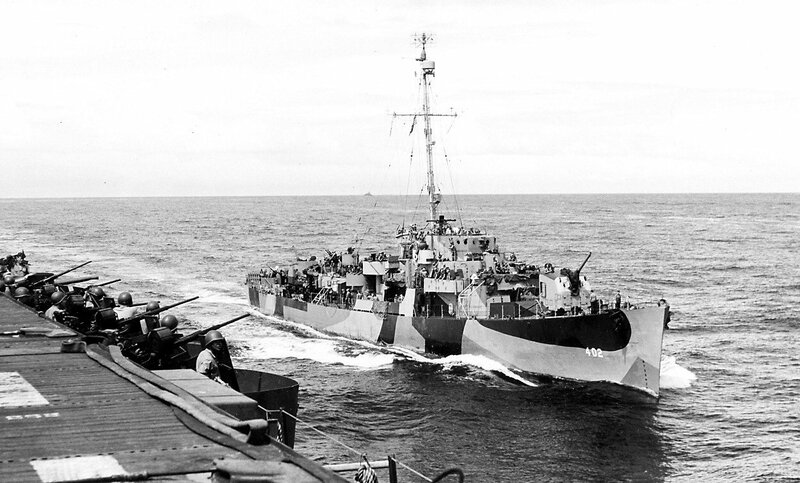 Both ships are involved in the Battle of Leyte Gulf starting the previous day, as a part of “Taffy One”. Suwannee was hit by Japanese kamikazes on both the 25th and 26th and was severely damaged losing sailors overboard in the action. Richard S. Bull rescued 24 survivors and in this photo is approaching Suwannee to transfer them back. Notice the railings on Bull which once held life-rafts. 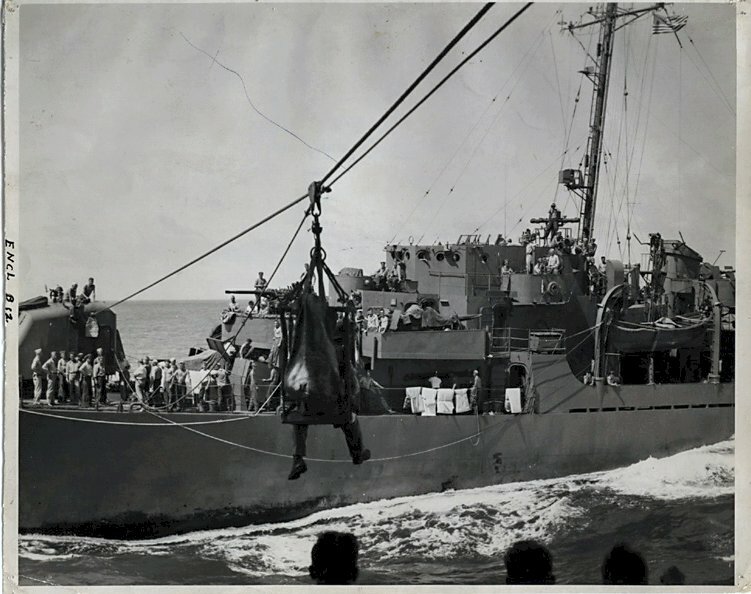 View the USS Richard S. Bull (DE 402) DANFS history entry located on the Naval History and Heritage Command web site. 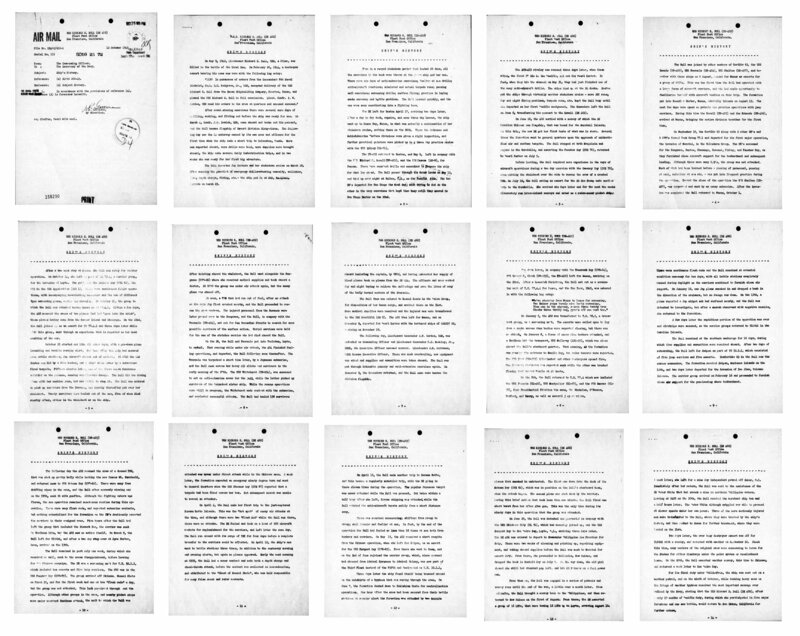 View the official War History of USS Richard S. Bull as submitted by the ship at war's end.